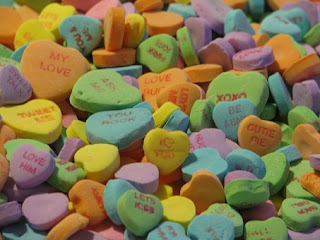 One of my favorite Valentine's Day candy, besides chocolate, is the Necco Candy Hearts. In the meantime, pick up your ebook or print copy today! Also available on Nook Itunes, and Kobo. Don’t miss this poignant story of love, loss and renewed hope! Hope you and your loved ones enjoy a very Happy Valentine's Day! And, sign up for our newsletter. Scroll down the right side of our blog and enter your email address under Newsletter Signup. Remember to join the Sweet Romance Reads Cafe too. I agree, Jean, although I'm a chocolate fan! The Necco brand is my favorite of the candy hearts. Yum! I haven't seen the Happily Ever After collection. How fun! I love Russell Stover chocolates. I also like the necco hearts and red hots. Russell Stove chocolates are some of my favorite candy, Margie. I love Necco Hearts! My favorite Valentine candy is chocolate covered raspberry filling of any sort, just no seeds! I don't like seeds, either, Andrea. Not entering, but I love the sayings you shared from the Happily Ever After collection. So fun! My favorite candy for Valentine's Day would definitely be Sweet Shop USA chocolate truffles. Anything chocolate work for me, Shanna! Love Necco hearts... "Love you", "Kiss Me", "Hugs". Russell Stover Chocolates are always a winner. I long to try some Sherry's Berries (Chocolate dipped strawberries). Russell Stove Chocolates are always a winner in my house, too, Crystal. And I've heard about the Chocolate dipped strawberries, but have never tried them. I love Reeces Pieces! I also love anything with caramel...yummmmm! LOL! You and me both, Cindy! Thanks so much for your comments, everyone. Tina Carlson--you are the winner. Please email me at josieriviera@aol.com to claim your free audiobook. 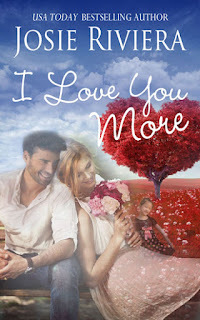 Note that I Love You More audio isn't available yet...but Candleglow and Mistletoe is!